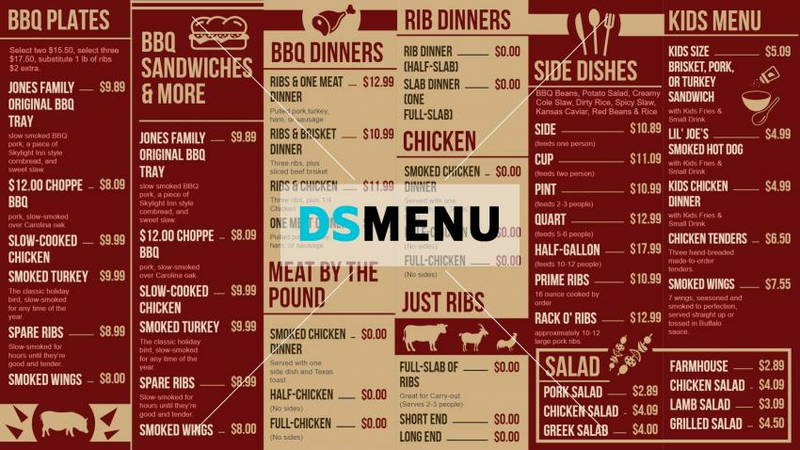 This BBQ menu board has a complete array of dishes from its succulent plates in turkey , beef and chicken to Rib dinners, sandwiches and a kids menu segment. Sides and salads too adorn its menu. The maroon color background with a light brown shade at the middle provide an unique elegance to the menu board. On a digital menu board the bright illuminations will certainly entice its target customers and enhance business growth of the restaurant.